Welcome to MOLLY MAID of Daytona and New Smyrna Beach ! Molly Maid has been serving the area for over 10 years and built a legacy in exceptional maid service. We represent a clean you can trust. Our insured maids are reliable with the skills to guarantee your satisfaction. Our Daytona Beach house cleaning services are customized to meet your needs. From dusty blinds to baseboards, our maids are happy to clean those hard to clean areas of the home. 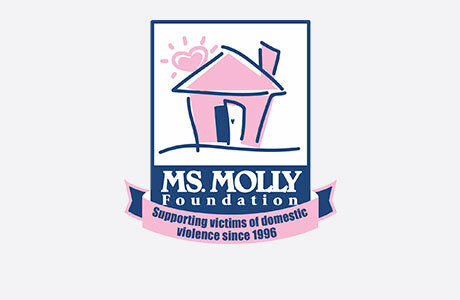 Because we care about the communities we serve, we donate a portion of each clean to the Ms. Molly Foundation to raise awareness about domestic violence. Let us make a difference in your home while you make a difference in people's lives! We’re proud to serve Daytona and New Smyrna Beach’s neighborhoods and suburbs. We also service De Leon Springs, Debary, Deland, Deltona, Edgewater, Flagler Beach, Lake Helen, Mims, Oak Hill, Orange City, Orlando, Ormond Beach, Osteen, Pierson, Port Orange, and Seville. There are no contracts with Molly Maid, just a clean home! Call MOLLY MAID of Daytona and New Smyrna Beach today at (386) 516-4169 to schedule your free in-home estimate! Can I depend on Molly Maid to get my home cleaned to my satisfaction? Yes, you can! We are backed by our Molly Maid guarantee! If you are not happy with your service, call us within 24 hours, and our maids will come back to your home to re-clean. How much can I expect to pay for service? The price of cleaning depends on the size of your home and how often you want your home cleaned. We do a free in-home estimate to give you the best service and the most accurate price. Do you carry any insurance for your maids? Yes. All our employees go through background checks before entering any home. We also carry workman’s compensation, which protects your home from liability while the maids are cleaning.